Holiday Apartment is an apartment that you can use to your business and tourist trips with a capacity of up to 6 people, located in a quiet part of Sarajevo on Mary‘s residence in the vicinity of all major companies, business center Unitic, Avaz Twist Tower, within easy reach of a large number of restaurants and cafes and also near the largest of the newly opened shopping center in Sarajevo “SSC” and “Alta”. Sarajevo airport is only 10 minutes away. 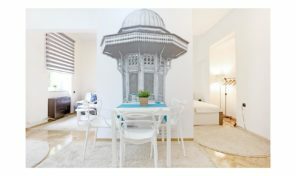 The apartment is located 100 meters from public transportation (taxi / buses / trams) that connects you to the old part of Sarajevo–Bašćaršija and the main bus and train station which is only 50 yards. If you need a front of the building there is free parking for your car, and 20 m from the building there is a group garage at an additional charge. 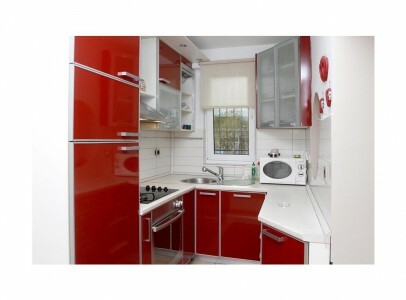 The apartment has been recently renovated 55 m2 and consists of a living room, bedroom, hallway, kitchen and bathroom. The apartment has everything necessary for your short or even longer stays: equipment of high standard, high quality bearings, fully equipped kitchen, washing machine, televzor. It is equipped with comfortable and modern furniture, central heating, cable TV, wireless internet, functional and modern kitchen. Price 40€ per day for two people. Accommodates up to 6 people. Children under 3 years free of charge,. Extra bed costs € 8. The apartment has a high standard, high-quality bearings and fully equipped kitchen.The apartment is on the first floor.